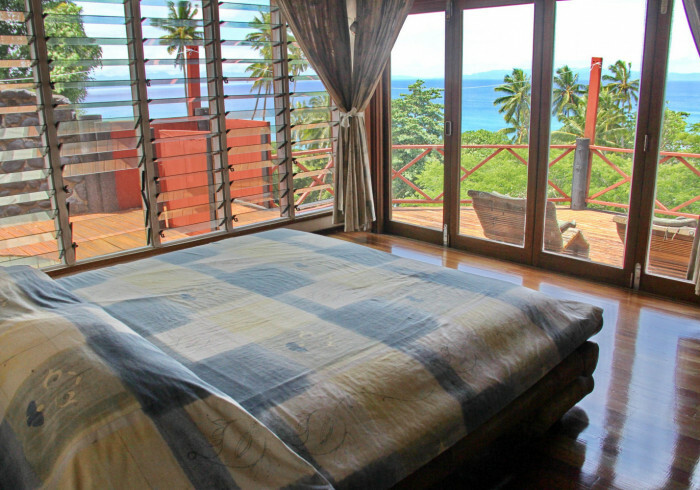 Located on Taveuni "The Garden Isle", the beautiful plantation setting of Maravu Taveuni Lodge, with 21 well-appointed cottages offers quick and easy access to fascinating jungle and waterfall hikes. Surrounded by walking trails and a private white sandy beach within a short walking distance, the Resort itself is styled like a Fijian village. Maravu Taveuni has Deluxe Bures and Honeymoon Bures with outdoor shower, sundeck and solar energy as well as Duplex Units, all with high ceilings, hard wood and island décor.